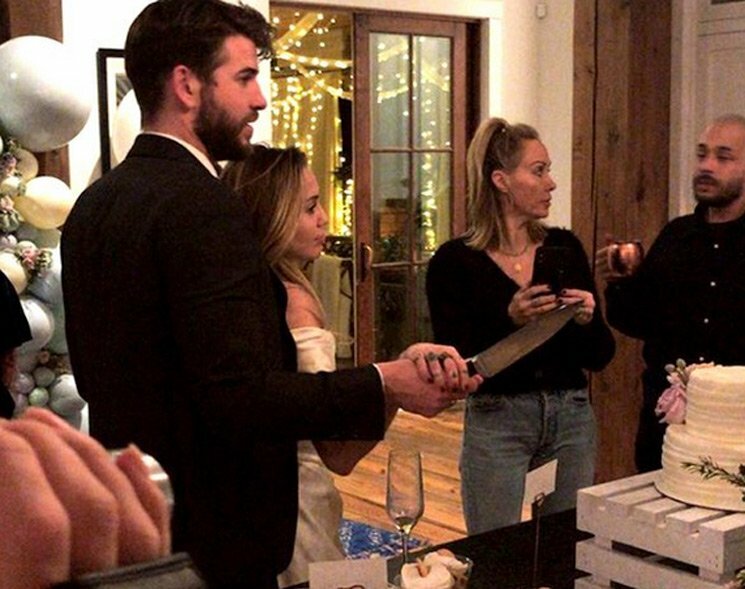 It appears Miley Cyrus and Liam Hemsworth have just got married — or at least that's what a series of newly surfaced photos seems to prove. Various photos and video posted on the Instagram story of the couple's friend Conrad Jack Carr on Sunday night (December 23) show Cyrus and Hemsworth dressed in very wedding-appropriate attire and among Mr. and Mrs. balloons. There's also a photo of what appears to be a cake-cutting scene that you can see above. As various online digging shows, the wedding apparently happened at the couple's home in Franklin, TN. As of press time, however, the couple has not confirmed the news of their supposed marriage. You can check out various other photos from the supposed wedding over here at PEOPLE.